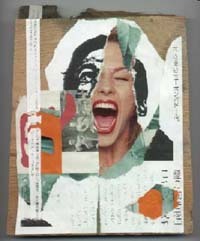 A collage made from photocopies and authentic material on a 18x21cm sized wooden board. The background is a copy of One Eye 4. This piece of work is from December 1999.